There was an item on TV Patrol last week documenting the opening of a Jollibee store in Houston, Texas. My brother and his family live in a suburb just outside Houston; so I was curious to know if he had been to the place. The TV Patrol item showed that, but of course, opening day was characterised by long queues of expatriate Pinoys in Houston. As it always is when Jollibee opens shop for the first time in a city or municipality, even here in the Philippines. No, my brother told me; he had not gone yet. But my sister-in-law has; and she had to my good fortune brought home a brochure with Jollibee’s offerings in Houston. 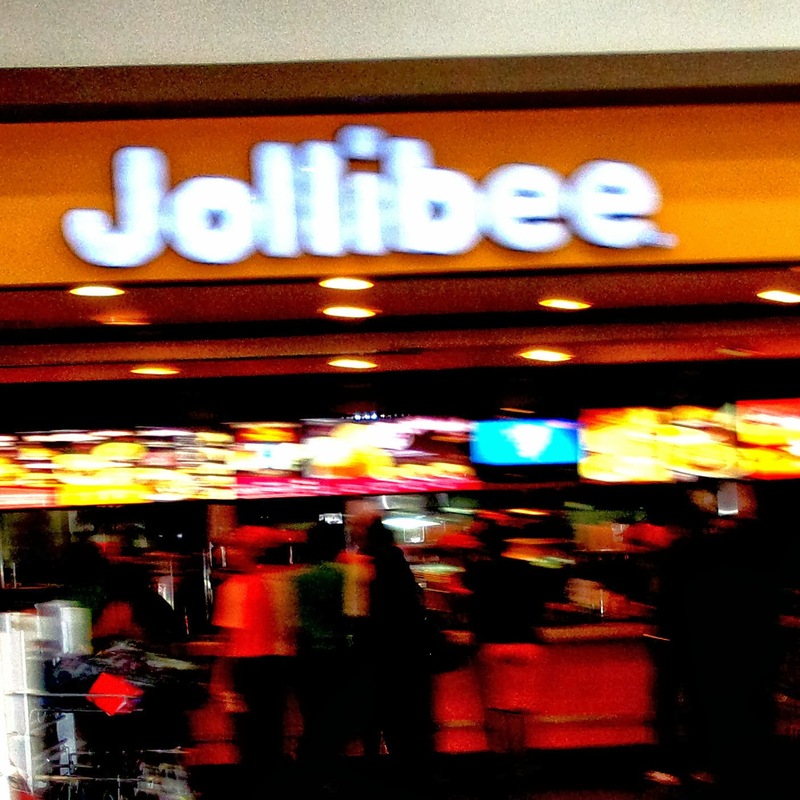 I had been curious for the longest time about how different pricing is for Jollibee stores here in the Philippines and the United States; and this article presents the comparative pricing. Those among you reading this who are Philippine-side will probably be feeling pretty pleased with yourselves because, by and large, the local prices appear incredibly cheap across the board in comparison to the Houston store’s pricing. The economics involved, it has to be pointed out, are also different. Production and operation costs (raw food prices, capital expenditures, salaries and wages, etc.) are different; and, it goes without saying, the purchasing ability of those who are States-side is also reasonably higher than those who are home-based. Keep in mind that the States-side prices cited in this article are from the Houston store alone. 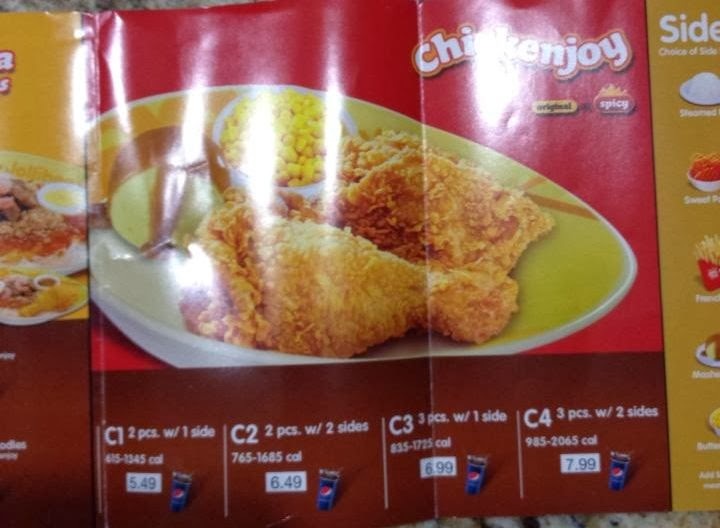 I have no way of knowing if Jollibee prices are uniform across the United States; and those who are US-based may help out by leaving comments using the Facebook widget at the bottom of this page. The Philippine prices I cite in this article are from the Jollibee web site. Where the products are not the same, I used equivalents. Thus, in place of Houston’s Big Yum, I used local stores’ Champ as replacement. Amazing Aloha, I was told by the crew at the store inside Robinson’s Place here in Lipa just this morning, has already been phased out. The price I include in this article is from the counter signage of the local store that has not been removed yet. 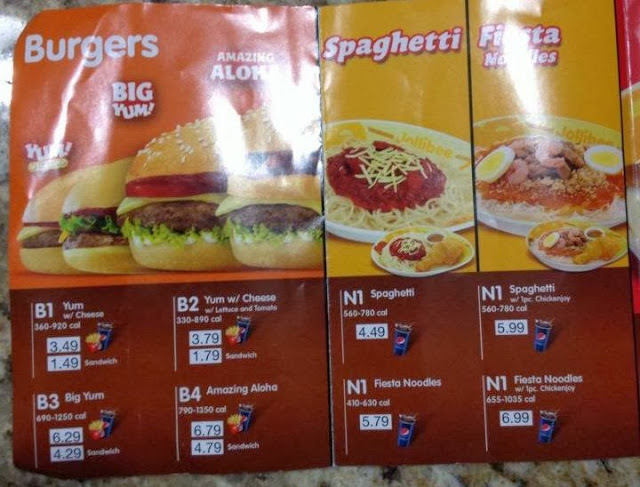 I am still trying to confirm from my nephew Ryan, who supplied me the pictures of the Houston store’s brochure, if the fiesta noodle is indeed palabok. Here are the comparative prices. The conversion rate used is today’s 43.51 to the dollar. 1. 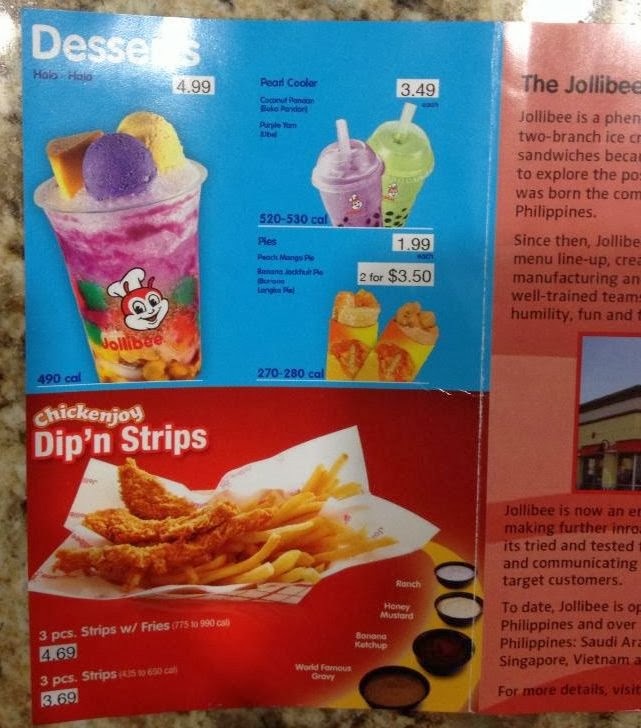 Thanks to my nephew Ryan Torrecampo for the pictures of products at the Houston Jollibee store. 2. 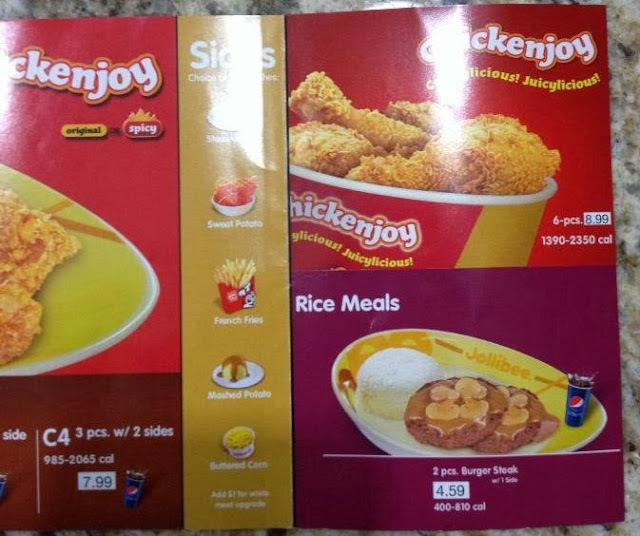 Philippine prices from the Jollibee web site.